PAMECA V | 26 July 2018, Roundtable on “The importance of crime statistics”. 26 July 2018, Roundtable on “The importance of crime statistics”. Home News 26 July 2018, Roundtable on “The importance of crime statistics”. In the framework of PAMECA V Work Plan and in particular of Activity 5.5, which provides for support to further improve beneficiaries’ capacity to collect and elaborate statistics, PAMECA V organized the Roundtable on “The Importance of Crime Statistics”. The activity was, at the premises of General Prosecution Office with the participation of representatives from Sector of Statistics of Prosecution Office, Albanian State Police and Institute of Statistics. 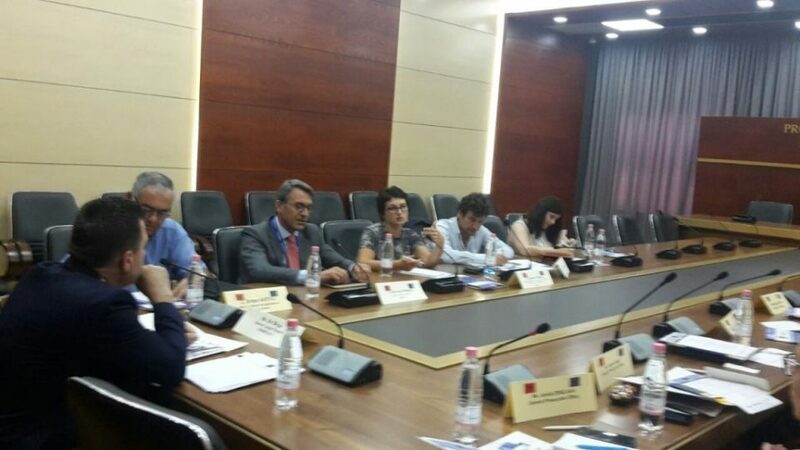 This roundtable aimed to mainly discuss the methodological approach of data collection, processing and elaboration of statistical data by GPO and State Police, and on how to align the data collection procedure with the EUROSTAT standards and eventually to exchange views and practical experience with Albanian counterparts on the methodology of data collection. Representatives of Prosecution Office and State Police had the opportunity to introduce some of their issues and concerns regarding data collection and their accuracy. One of the main issues that was extensively discussed was related to the limited number of human resources dedicated to statistics and lack of trainings, considering the importance of statistical data for the future EU path of the country, which may serve also to support the track record on investigations. The representative of Institute of Statistics introduced some recent initiatives of INSTAT on the methodology of data collection in order to have accurate, reliable and useful statistical data. INSTAT raised the issue of the importance of having a unified methodology to be applied by all law enforcement agencies, otherwise no deep analysis and assessment can be prepared. PAMECA V Long Term Experts on Prosecution and Organized Crime and Human Resources, respectively Mr. Carmine Pirozzoli and Mr. Giovanni Pasqua, presented some best EU practices and ensured the participants that PAMECA V will continue to provide support and international expertise in this important field organizing other workshops and seminars in the next future.